The flagship Pirelli tyre, the Pirelli P Zero NO, is the number one selling tyre for Pirelli available in a massive range of sizes and options including extra load and winter models. The Pirelli P Zero NO's often considered the benchmark for ultra high perfomance tyres, designed for use on all cars but with high end sports, 4x4's and sports editions benefiting from it's features the most. Used as original equipment on a massive range of high end cars including Audi's Bentely's, Ferrari's, Maserati and even Lamborghini's & Porsche. After 20 years at the top of the game, the PZero NO seems to be showing no signs of letting up, with the asymmetric tread design offering up far lower levels of external noise and more even tread wear helping to ensure your tyres last longer. This special edition of the now legendary PZero NO has been produced in association with Porsche to ensure maximum perfomance when fitted to certain Porsche vehicles and has been approved for use as both original and replacement equipment on some models. The flagship Pirelli tyre, the Pirelli P Zero NO, is the number one selling tyre for Pirelli available in a massive range of sizes and options including extra load and winter models. This special edition of the now legendary PZero NO has been produced in association with Porsche to ensure maximum perfomance when fitted to certain Porsche vehicles and has been approved for use as both original and replacement equipment on some models. 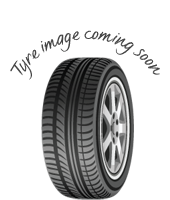 The Pirelli P Zero NO's often considered the benchmark for ultra high perfomance tyres, designed for use on all cars but with high end sports, 4x4's and sports editions benefiting from it's features the most. Used as original equipment on a massive range of high end cars including Audi's Bentely's, Ferrari's, Maserati and even Lamborghini's & Porsche.After 20 years at the top of the game, the PZero NO seems to be showing no signs of letting up, with the asymmetric tread design offering up far lower levels of external noise and more even tread wear helping to ensure your tyres last longer.Incredible performance in both the wet and the dry as would be expected from such as high end tyre, combined with low noise emissions. 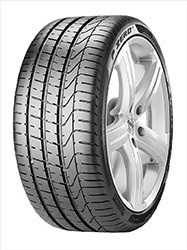 Available in a huge range of size combinations this is a great premium tyre choice for everyone.This special edition of the now legendary PZero NO has been produced in association with Porsche to ensure maximum perfomance when fitted to certain Porsche vehicles and has been approved for use as both original and replacement equipment on some models.